and to learn more about if Invisalign is right for you. Dr. Brochu has been practicing orthodontics for over 35 years. in techniques and technology in orthodontics. Dr. Brochu enjoys all areas of comprehensive orthodontic care. achieve that smile you have always wanted. To Patients Of All Ages. Dr. Brochu is pleased to offer his patients more options when it comes to braces, due to innovative advances in orthodontic technology. Make an appointment today. You can straighten your teeth without anyone ever noticing thanks to Invisalign and it’s nearly invisible appliances. Dr. Brochu is a certified Invisalign treatment provider. If you are a new patient, please complete our new patient forms by clicking through to our forms page. Please bring the completed forms to our office at your first appointment. In the event of a dental emergency, Brochu Orthodontics will be there for you. Contact our office with any emergency for Dr. Brochu’s after hours emergency number. Brochu Orthodontics has been successfully improving the smiles of our patients since 1977. At Brochu Orthodontics, we welcome all varieties of orthodontic needs. 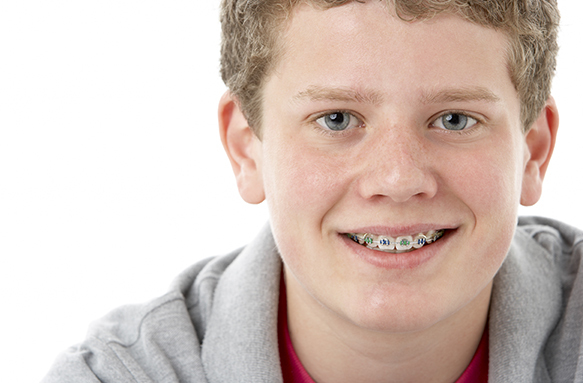 We specialize in providing orthodontic care to every age, because the perfect smile is something everyone deserves. Our practice philosophy is very straightforward: We want to provide you with a beautiful, healthy smile with the best alignment possible. We use the latest high-tech materials, techniques and resilient wires, which increase patient levels of comfort and optimizes treatment time. In order to provide the best orthodontic care possible, Dr. Brochu consults with your general dentist throughout your treatment, forming an important partnership to ensure that all dental needs are being addressed. With locations in Libertyville and Spring Grove, Brochu Orthodontics is just a short drive from most locations in Lake and McHenry Counties. Your smile is one of the most unique features about you. Each patient of Brochu Orthodontics is an individual with a particular schedule and needs, which we respect. Simply put, Brochu Orthodontics will strive to provide you with excellent orthodontic care, personable and timely service, and a beautiful smile at a competitive rate. With over 35 years of experience, Dr. Brochu has been graciously treating patients throughout the northern Chicago suburban area with great success. We have established a reputation of being compassionate and non-intimidating within our practice. Dr. Brochu is excellent with younger patients, providing kind, calm chair side manner, and an explanation of each step of every procedure. The fears and apprehensions of any of our patients can be left at the door as we seek to provide you with the utmost respect, comfort, and satisfaction. To schedule an appointment, call Brochu Orthodontics at our Spring Grove location at (815) 675-0161 or at our Libertyville location at (847) 367-7150. My daughter has been a patient of Dr. Brochu for 2 years and it's amazing the work he has done with her. The office staff are amazing. Appts are always on time. Dr. Brochu and his staff have been great! The appointments are always on time and we are amazed at the progress on my daughter's teeth so far! I'm so thankful Dr. Brochu was recommended to us. 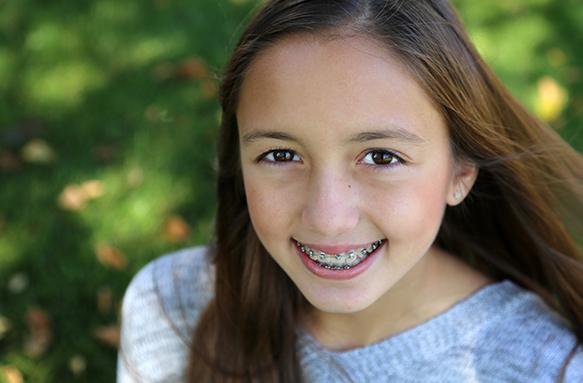 My oldest daughter got braces put on this summer and we couldn't be happier with Dr. Brochu and his staff!